With over two million copies in print, our publications are reaching thousands of families and schools in countries around the world. With your help, we are creating a kinder, happier, and more bucketfilling world! 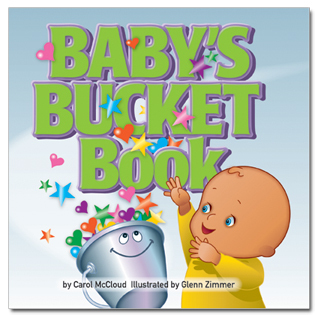 This engaging, rhyming board book for infants and toddlers provides parents with a delightful way to begin teaching their babies that they each have their very own invisible bucket. Through the sweet, colorful illustrations, mommies, daddies, and babies experience what brain researchers already know: Simple, caring interactions shape a baby's brain and fulfill a baby's essential needs for security, love, belonging, independence, and fun. They also fill a baby's bucket.